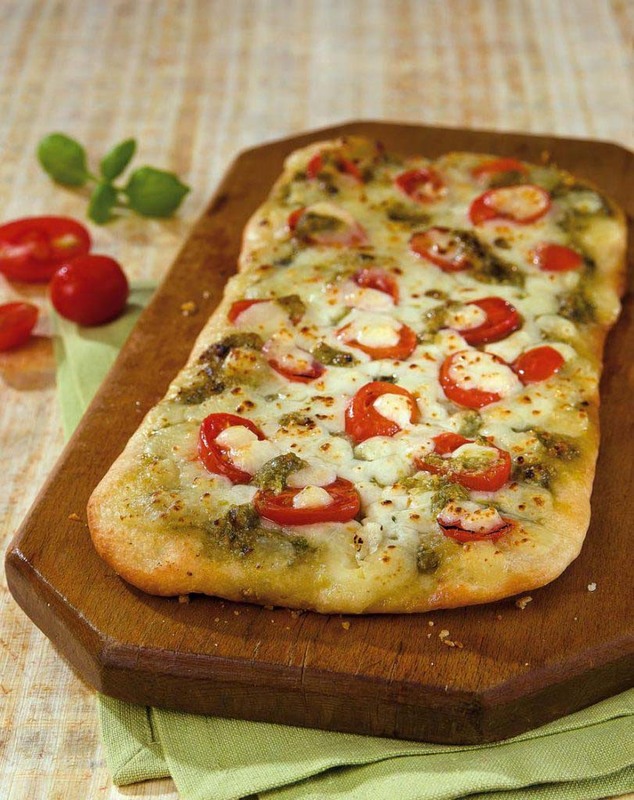 Brush pizza crust with pesto and olive oil. Slice tomatoes and add on top of the pizza crust. Place cubed mozzarella on top and drizzle any remaining oil on top of the cheese.